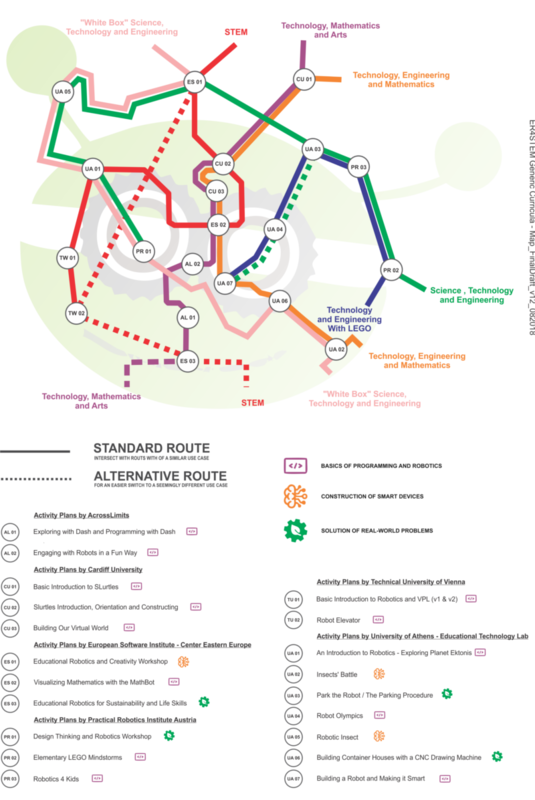 The Generic Curriculum Paths Template facilitates different stakeholders to design Generic Curriculum Paths for different robotics toolkits, containing various educational robotics Activity Plans and addressing various STEM domains. It has a simple structure serving as the backbone for the formulation of the use cases, or the logic, behind a Generic Curriculum Paths. The Generic Curriculum Process provides a clear picture on the key steps that need to be planned and executed for the implementation of educational robotics workshops.